My customer applied one ton (133 lb per acre) SEA-90 to 15 acres of grasses. He grazed 28 head (almost head per acre) and was still managed to cut three round bales per acre to put up for the winter. He is thrilled with SEA-90. 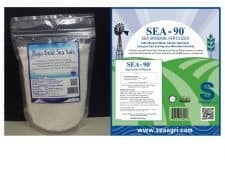 I use SEA-90 to grow corn. The corn has grown to eight feet tall and has as many as five ears whereas normally without SEA-90 I only produce an average of three ears per talk. For the past three years I foliar applied approximately eight pounds SEA-90 per acre on 12 acres of grasses. As an experiment, I quit applying at a certain point on my field. 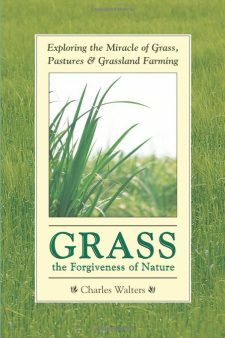 The SEA-90 treated pasture grew grasses 4-6” taller. The local ag extension agent did not believe me until I took him to the field and he visibly saw the difference from a distance of 300 yards.